LIGHTWEIGHT – between 30-50% of that of conventional rubber hose. Reduced diameters facilitates the use of higher capacity hose reels. REDUCED BEND RADIUS – The thermoplastic hoses ensure easier routing in restricted and small enveloped areas. 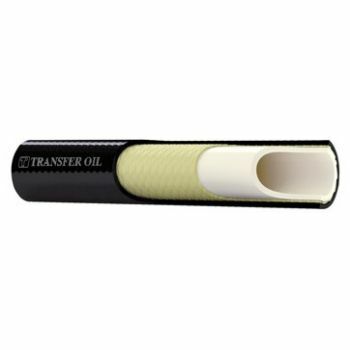 LONGER SHELF LIFE – this type of high pressure hoses will not degrade when stored under correct conditions. MINIMAL VOLUMETRIC EXPANSION – Due to lower elongation properties of reinforcing yarn braids the thermoplastic hoses ensure reduced pressure loss, faster response time of hydraulic circuits, reduced oil / fluid consumption. EASIER HANDLING – Generally the thermoplastic hoses are being cleaned and handled easily in the workshop. Fabric braided hoses can be cut/prepared without the need for high powered cutting equipment in some cases simple hand or blade cutting equipment can be use. THERMOPLASTIC HOSES HAVE COMPACT DESIGNS – the lower elongation properties of the yarn braid reinforced products ensures minimal volumetric expansion during operation. Reducing pressure loss and optimising response time and efficiencies of hydraulic circuits and equipment. HAVE EXTRUDED OUTER COVERS. The thermoplastic hoses have outer covers from Polyurethane or Polyester based elastomers. Available in a wide variety of colours, all cover materials for the thermoplastic hoses are UV stabilised and are highly resistant to abrasion ensuring extended service life. Cover variations include properties that are resistant to a wide range of fluids, chemicals and extremities of temperature and atmospheric conditions. HAVE ENGINEERED INTEGRITY - the thermoplastic hoses ensure critical dimensions are continuously controlled and monitored throughout the production stages. HAVE TUBE PROPERTIES - which are Polyester or Polyamide based elastomers offering greater versatility and compatibility with a wide range of fluids, gasses and aggressive chemicals. With minimal diffusion rates for most gaseous media. Thermoplastic hose for LPG applications up to 30 bar This thermoplastic hose has a core of Polyamide 6 tube and is used wiith Low pressure LPG systems. 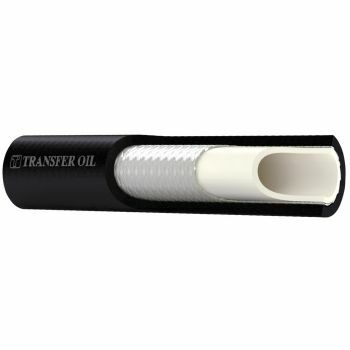 The thermoplastic hose has a black antiabrasion cover suitable for fuels, gas and LPG applications. 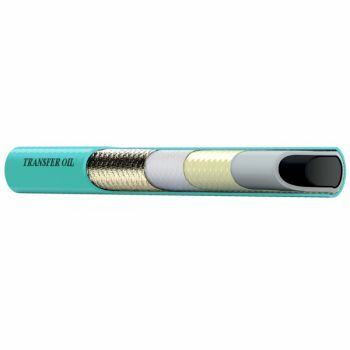 It's ideal for LPG applications up to 30 bar and has a non metallic ..
Thermoplastic hose for CNG - up to 350 bar The thermoplastic hose of this type is a High pressure hose suitable for CNG refueling applications featuring conductive inner tube to dissipate static electric build up. This hose has an extra tough cover for abrasion water and micro biological resistance. The thermoplastic hose is from Non metall..
Thermoplastic hose - for CO2 fire extinguishing applications - up to 300 bar The thermoplastic hose of this type is used as a connection between bottles / valves and manifolds for CO2 - main fire extinguishing systems. 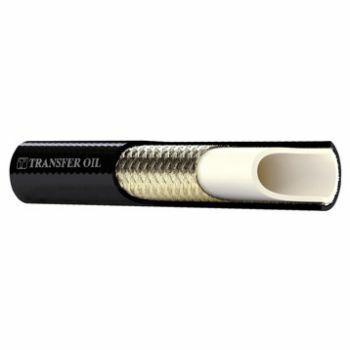 The low temperature resistance of the cover increases lifetime of these hoses. The fire extinguishing thermoplastic hose is ..
Thermoplastic hose for H2 - up to 700 bar This is a very high pressure thermoplastic hose which is suitable for hydrogen refueling applications. The hydrogen thermoplastic hose is featuring metallic braid and special conductive inner tube which dissipates static electric build up. 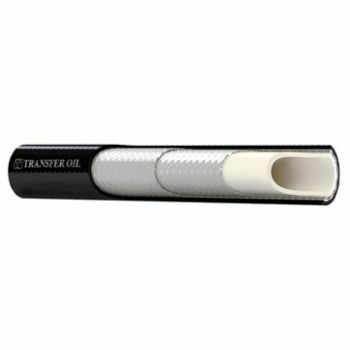 The thermoplastic hose of this type has an extra tough cover w..
Thermoplastic hose - for high pressure greasing applications - up to 400 bar The offered thermoplastic hose is designated for greasing applications with constant pressures up to 400 bar. 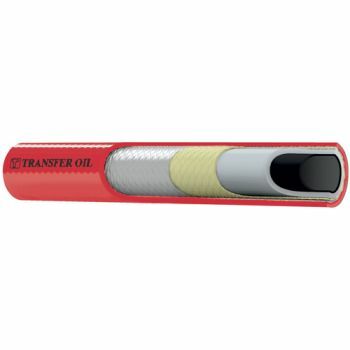 This high pressure hose is suitable for petroleum or synthetic or water based hydraulic fluids specifically designed for diverse greasing and lubrication app..
Thermoplastic hose - for beverage dispensing - up to 350 bar This thermoplastic hose is designed for use with high pressure drink distributing equipments from 210 to 350 bar (3000 to 5000 psi). This is a high pressure hose specifically suitable for gases (also mixed gases) used in fixed and mobile beverage dispensing units. 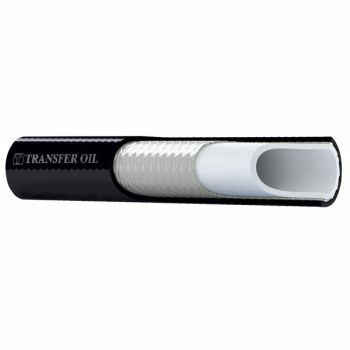 The thermoplastic..
Thermoplastic hose - for air cylinder filling - up to 420 bar The High pressure thermoplastic hose of this type is specifically suitable for filling air cylinders. The maximum pressure is about 420 bar. 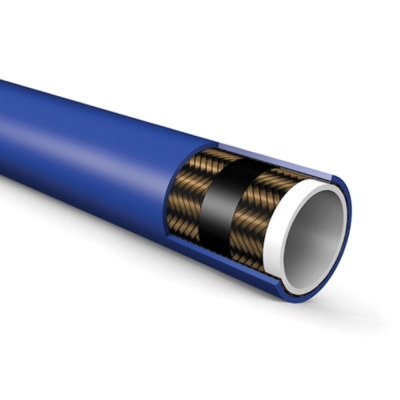 The aramid reinforcement of the thermoplastic hose increases its lifetime while reducing the risks of injuries. Our thermoplastic hose..